What did Occupy movement achieve? Jump to media player A year has passed since a series of anti-capitalist protests began in New York and spread around the world. 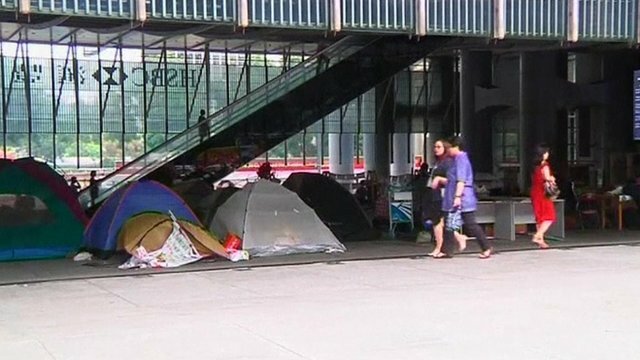 Hong Kong protesters to be evicted Jump to media player Anti-capitalist protesters will have to decamp from a public space below HSBC's headquarters in Hong Kong after the bank won a legal bid to have them evicted. Scuffles at Occupy Wall St protest Jump to media player New York was the scene of scuffles on New Year's Eve as dozens of Occupy Wall Street protesters were arrested. 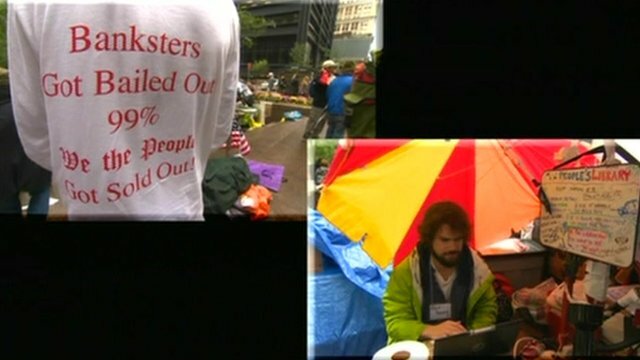 Will Occupy camps return in 2012? Jump to media player The Occupy Wall Street movement that began in New York in September inspired thousands, but is the campaign coming to an end? What did Occupy movement achieve? A year has passed since a series of anti-capitalist protests began in New York and spread around the world. The demonstrations in financial districts became known as the Occupy movement. Hundreds of protesters are expected to mark the 12 month anniversary on Wall Street. 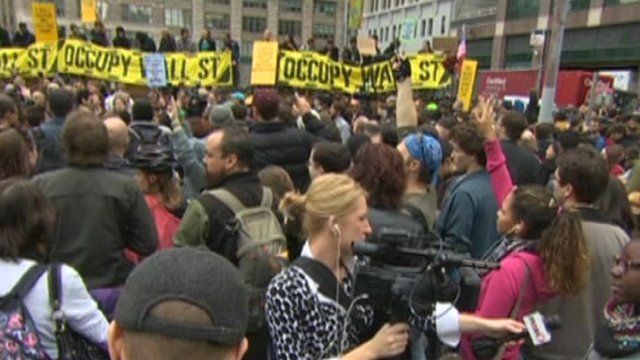 The BBC's Ben Thompson reports from New York on what the protests achieved.